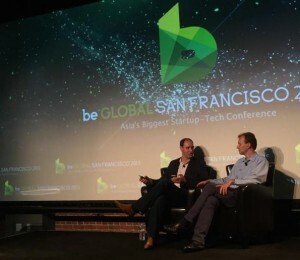 AngelList is trying hard to stay in love with the problem they set out to solve when they first launched: “How do we help founders (globally) focus on what matters most, which is building their company and products, and spend less time fundraising?” You can sense that they have made this problem a core value at AngelList. We argued that cross-border angel investing would not be possible without online platforms like AngelList, bringing both sides together (founders and angels), yet maybe more importantly without a trust & expertise based syndication model that aligns everyone’s interest, removes significant friction in the decision process (“emotional friction”) and ultimately building technology and processes to close the transactions (“physical friction”). Among the new stats shared by Kevin during our talk, he said that 10% of the capital invested online on AngelList was from outside Silicon Valley, while only 3% of completed fundraising online was for companies outside of the US. The new fund will definitely give a huge boost to the foreign capital percentage number above, unless they classify it as a US fund, event though it is backed 100% by Chinese capital. Kevin placed the number of startups on AngelList at approximately 300,000 with 30,000 or 10% of them being in fundraising mode at any one time. In one sense, the odds of being “discovered” on AngelList are much better than they were in the Apple Store as of June 2015. There were over 1.5M apps, but the syndication of your round by a well known angel investor in Silicon Valley remains your best shot to stand out (kind of your equivalent to being featured by “Apple” in the store). The interesting bit for me was that this was still holding true for foreign companies trying to fundraise on AngelList. Kevin used the example of Descomplica, a Brazilian online education startup that raised $5M in February 2014 from Social+Capital, and used a syndicate led by my friend Lee Jacobs, a local angel investor with ties to Brazil, to ignite the fundraising on AngelList. Lee was also the very first to do a syndicate on AngelList so he gets pioneers’ points in my book :). Kevin also makes a very important point on the video below…you can invest anywhere but you might not be able to get your money back everywhere! Let us not forget that over 80% of technology M&A deals happen in Silicon Valley (buyer or seller is located there) and the last time I checked, corporate sales were responsible for 95% of the return of capital for VCs. You can find a “meerkat” version of the interview here for now and I will upload a professional version from beGlobal as soon as it becomes available. Some dubbed it the world’s largest seed fund and it sure is an impressive amount, but read the fine print. You realize that the investment thesis is broader…you are talking about investing in top startups (based on their metrics and syndicate leads) not just in Silicon Valley, but globally with the ability to do pro-rata and access later stage opportunities too (which are now facilitated even further due to their new SPV product). As I mentioned on stage, it takes a “Chinese billionaire” to have the humility to say “I do not have access to Silicon Valley deal flow, nor may I have the skills to vet it, but I sure can get some of the smartest people in the business to discover, vet, and syndicate some of their best deals for me, as well as secure access to follow-on funding via pro-rata rights and SPVs.” I am convinced that many institutions and family offices that invest in venture have been asking themselves why they did not think of it before, how maybe they just needed a lead to follow. This is by far the most significant announcement AngelList made that day for the future of AngelList. If fundraising is among the top pain point of founders, recruiting talent is probably way up there as well, so it is only natural that AngelList spends a significant amount of time and capital improving its job marketplace product. It will also over time become a very strong competitive advantage and barrier to entry as “startup” skills and know-how are in very high demand across the world. There is also a very natural and synergistic relationship between fundraising and hiring since most $ startups raise goes to hiring more talent! 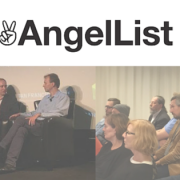 At BootstrapLabs we ask all our portfolio companies to create and maintain an up to date AngelList profile as a way of communicating with their stakeholders, including future employees. Thank you to Kevin and the team at beGlobal for providing me with the opportunity! So long and happy investing. Ben is the co-founder of BootstrapLabs, a Venture Investment Company that invests capital, experience, and skills into disruptive software companies from around the world, and helps their founders relocate to Silicon Valley to build BIG. 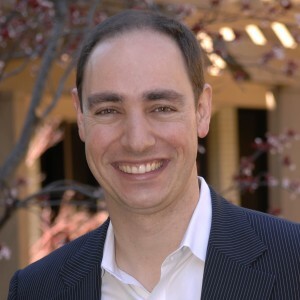 Born in France and living in Silicon Valley for the past 17 years, Ben is a repeat entrepreneur who launched, built, and exited two startups in the financial technology space, one to Mergent, and another one to SecondMarket, who was recently acquired by NASDAQ. He has also helped founders raise over $300M of capital from Venture Capitalists and Private Equity Investors and closed $5B worth of technology M&A transactions as an investment banker earlier in his career. He is a frequent speaker on innovation, investing, technology, entrepreneurship and globalization.